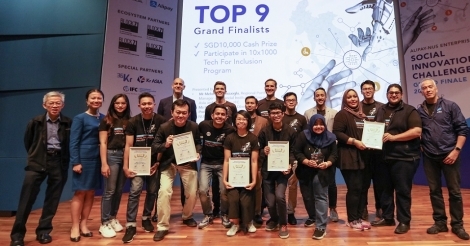 HAVING a national quality software certification scheme would help inculcate the quality culture among Malaysian software companies and in turn, help grow Malaysia’s software industry, according to the Malaysian Software Testing Board (MSTB). This has been proven by South Korea, which introduced its Good Software (GS) certification scheme in 2001, MSTB said in a statement. MSTB is an industry-driven national body which promotes software quality assurance and software testing as a profession. The GS has proven to be an effective form of ‘intervention’ to seed rapid improvement in the quality of Korean-made software, coupled with supporting policies set and practiced by the South Korean Government, it said. Based on reported figures for 2011, South Korea's domestic market for software was estimated to be worth US$5.9 billion, while its software export was estimated to be worth US$18 billion. In 2001, the country’s software expenditures were reported to be worth US$1.47 billion while export was only US$290 million, MSTB added. “Malaysian software players must emphasise the quality of their products if they are to remain relevant in the market. With quality, they can even prosper in the more lucrative global arena,” said MSTB president Mastura Abu Samah (pic). “In fact, as market globalisation continues, Malaysian companies will have no choice but bring themselves up to the international level to survive. Having quality products will no longer be optional,” she said after a recent meeting between MSTB and the Korean Testing Laboratory (KTL) in Kuala Lumpur. The two agencies met for a two-day ‘Certification Decision’ seminar that was held as a platform to gather and exchange ideas and experience in software testing. At the the workshop were Cho Won-Jun, the director of the Software Evaluation Centre at KTL; and Dr Lee Soo-Yeon, chairman of the Certification Committee of KTL's GS marks. MSTB started to develop its software quality certification scheme in 2010 based on international standards, and is now gearing up for the rollout of the Quality Software Product Certification (QS) scheme. Mastura said that Malaysian software manufacturers and sellers can leverage on QS as an independent quality assurance certification based on ISO (the International Standards Organisation) standards for their products. “QS certification would also enhance the market competitiveness of made-in-Malaysia software in domestic and international markets,” she said. She also said that having good quality products would give Malaysian companies better returns by reducing the cost of maintenance as well as in managing and rectifying after-sale customer issues related to poor quality. KTL's involvement marked a continued collaboration between the two parties. KTL has been a collaborator in MSTB's efforts to develop the QS scheme. MSTB and KTL initiated discussions on collaboration in 2010 before signing an agreement in 2011. Since then, KTL has been sharing its experience and transferring technical know-how to MSTB’s QS team on how to develop and operate a software certification scheme. The collaboration is set to move to a higher level as efforts are under way to establish a government-to-government level mutual recognition of the QS and GS schemes, MSTB said. Negotiations for the Mutual Recognition Agreement (MRA) are currently being spearheaded by Malaysia's Ministry of International Trade and Industry and Korea's Ministry of Trade, Industry and Energy.